It's going to be a very busy day for the Animal Mechanics - a lorry full of ice cream has shed its load on the motorway, and everyone's getting very hot and bothered! 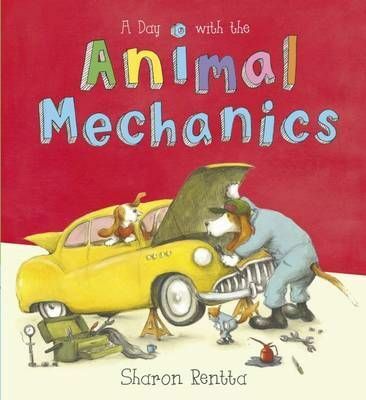 Full of warm, witty details, A DAY WITH THE ANIMAL MECHANICS is the perfect picture book for any child who loves cars, engines - and ice cream! Other titles in the series: A DAY WITH THE ANIMAL DOCTORS, A DAY WITH THE ANIMAL FIREFIGHTERS and A DAY WITH THE ANIMAL BUILDERS.